and Your Horse Is Our Priority! Whether your horse needs bodywork or you need help with saddle fitting or finding the right saddle, we provide tailored solutions that achieve real results! Each session is tailored to your horse's needs. Our modalities include deep tissue and sports massage, skeletal alignment, myofascial release, Chinese medicine, cupping, taping, and so much more! 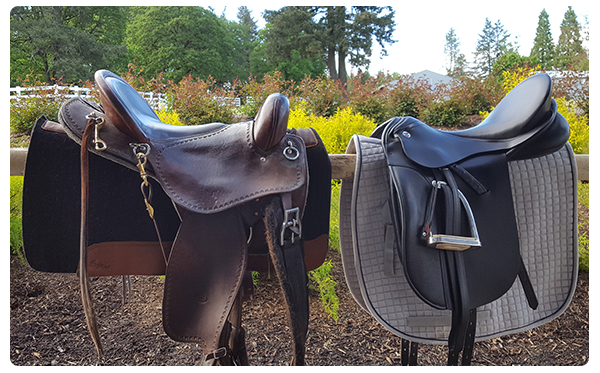 horse, rider and saddle measurements and recommendations, riding saddle eval, and pad and shimming. Tree adjustments. We offer full and partial saddle reflockings using 100% natural wool. A well flocked saddle is critical for horse and rider health. We can also change air panels to flocked panels in most saddles. Identifying areas of concern for your horse is key for treatment and soundness! Regardless of discipline, all horses need to have their muscles stretched. The SYH App teaches you how to do this effectively. No cell or wi-fi connection needed! Is Your Horse Performing Well, Happy and Healthy? 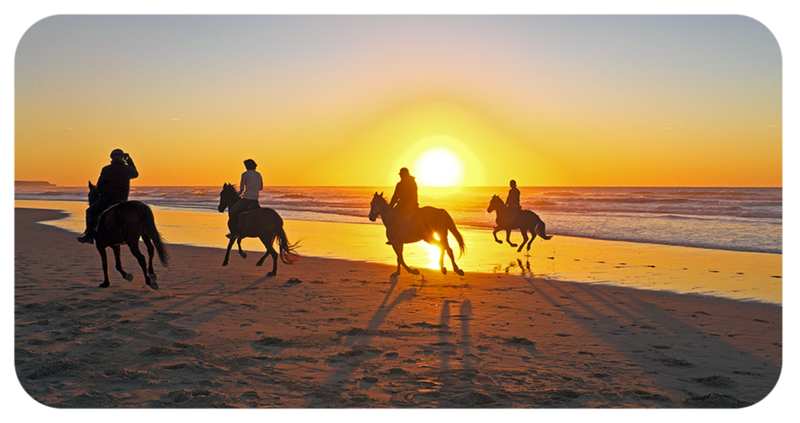 Horses and humans have a lot in common regarding the need for bodywork, massage, stretching and properly fitted athletic equipment, especially the saddle. Just like humans, horses may experience sore or stiff muscles and lack of musculoskeletal balance. 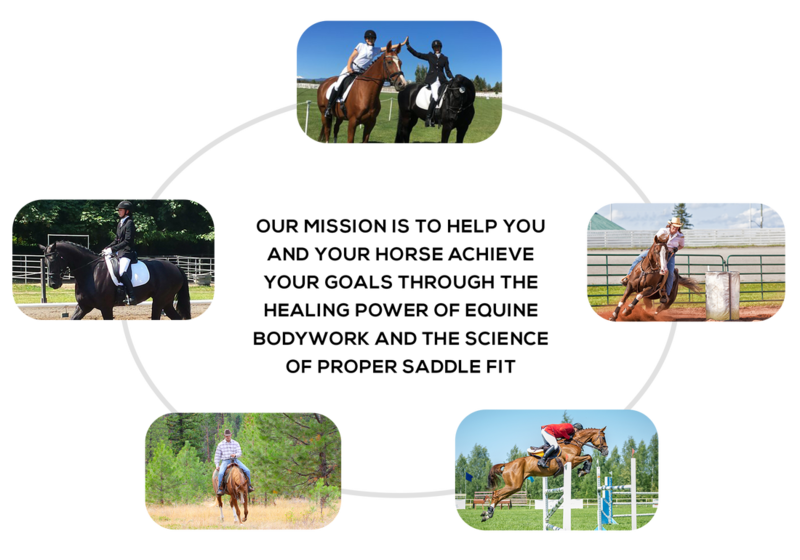 We help recreational, competition, rehab and retired horses of all disciplines and breeds. ​What Are Your Next Steps? 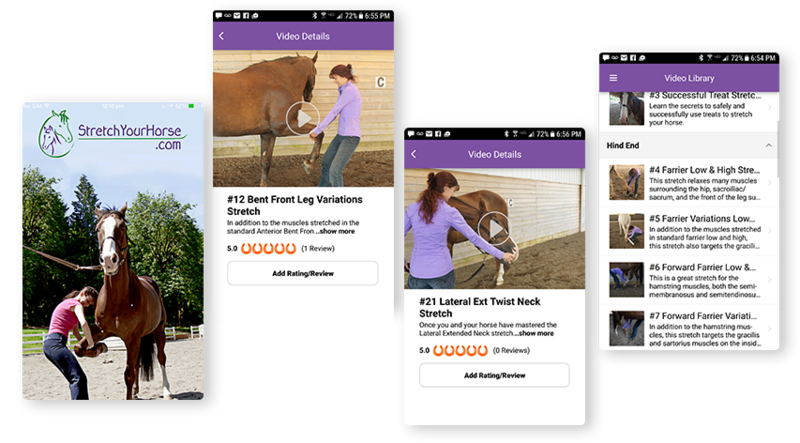 Check Out The Stretch Your Horse App! Save Money on Vet and Bodyworker Bills. Get all the latest horse health, stretching and DIY tips!